On behalf of myself and the rest of the climbers during the 9/11 Memorial Climb, it was an AMAZING experience. 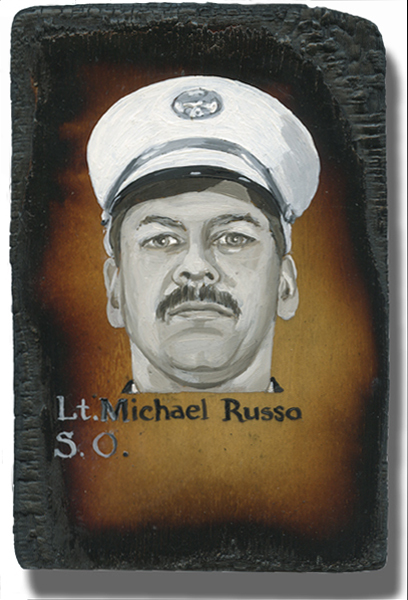 I myself walked in the memory of LT. Michael Russo and was truley honored!! As the climb got tough I pushed and fought through like I know LT. Russo did!! I’m so sorry for y’alls loss but im sure just as y’all I will always have LT. Russo in my heart. This was my 1st climbing experience and I will make it a career long event! Feel free to message me back I would love to forced know LT. Russo family thank you.